The rains are here, and so are roof leaks. Global climate change notwithstanding, the rains are here as expected at this time of the year. To most Pinoys, this can be a cause for celebration as we kiss the summer heat goodbye. But it seems that the local weather has become so chummy with the heat that it doesn’t even want to leave us, even with the onset of the rainy season. So what’s worse than melting under the summer heat? It’s continuing to melt even when the rains descend upon us. And what’s even worse than that? Sweltering in the heat, amidst a torrent of rain, under a leaking roof. The Eurythmics chill classic goes, “Here comes the rain again, falling on my head like a memory…,” except that one would feel far from chill, when raindrops are anything but a memory. I can very well relate to the frustration of having an unidentified source of roof leak. The irritating pitter-patter sound of raindrops that you think you hear on the right side of the ceiling, only to frown at the suspicious stain starting to form in the middle of the room’s ceiling, and waking up one day to see that the paint ceiling on the right side is starting to peel off . Saan ba talaga galing ang tulo?! Roof leaks or any house water leaks for that matter, pose a major challenge for any homeowner. The best way to find out the source of a leak is to investigate it as soon as you see it. If necessary, remove ceiling openings to investigate further where exactly the leak is coming from, and the most ideal time to do this is during a heavy rainfall. Last year was a challenging process of elimination for us, when we found ourselves badgered with a constant dripping sound coming from our ceiling, and soon enough we started seeing a map-like vision of a stain staring right back at us during our relaxation time. After establishing that it wasn’t a major leak, but big enough to bother us, I started asking around and discovered that sometimes, a leak does not necessarily mean a major house repair expense. As it turns out, Boysen carries some products to address the perennial water leak and seepage problem common to home maintenance. Let me focus on 3 Boysen products—Boysen Roofgard, Boysen Plexibond, and Boysen Acrytex. Now, all three address water-related problems. How are they different from each other? Boysen Roofgard is a gloss acylic, water-based roof paint designed to protect and adhere to most roof substrates. Roofgard can be applied on pre-painted galvanized iron sheets or on corroded G.I. surface roofings, provided that rust removal and application of Boysen Metal Etching Solution is done first. On the other hand, Boysen Plexibond is an acrylic polymer (a kind of formulated plastic to resist breakage and elasticity), which when mixed with Portland cement, transforms into a compound that gives you excellent adhesion and water resistance. Plexibond is best for water seepage and is ideal for waterproofing roof decks and firewalls. Boysen Acrytex is an acrylic solvent-based coating that forms a seamless, non-porous, watertight film that repels water and also prevents seepage. Acrytex is usually applied on any interior or exterior wall or substrate, be it wood, cement-type, or steel. As with any house repair project, it is best to consult with a professional on how to go about repairs. But do consider that your water-leakage problems may not require extensive masonry rework, and may in fact be simply addressed by over-the-counter, tried-and-tested products, which we can easily access from our neighborhood home depot. 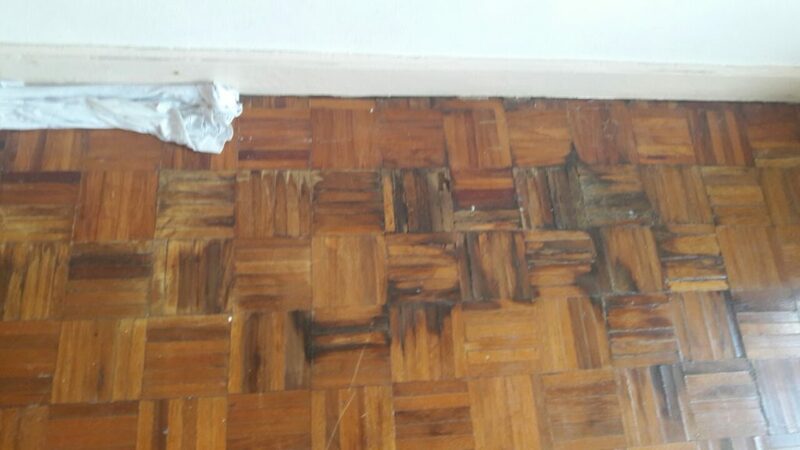 My home’s leaking problem was a small, 3 sqm cemented deck area right outside my son’s room, which caused water to fill up and leak through our kitchen area under it. I had the bigger cracks recemented which only took half a day, and applied Boysen Acrytex for good measure. It’s been bye-bye leaks since then. I’m glad it wasn’t as laborious as I thought it would be. One happy homeowner here. Now, to get back those zzzzzz’s I missed out on, worrying on those leaks.